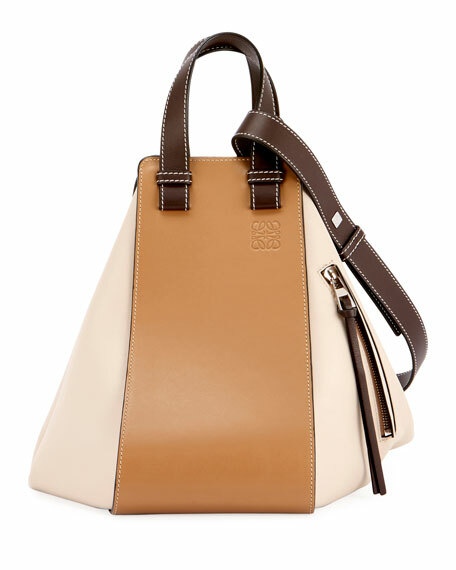 Originally designed to tote bottles of champagne, the bucket bag is now a top trend. 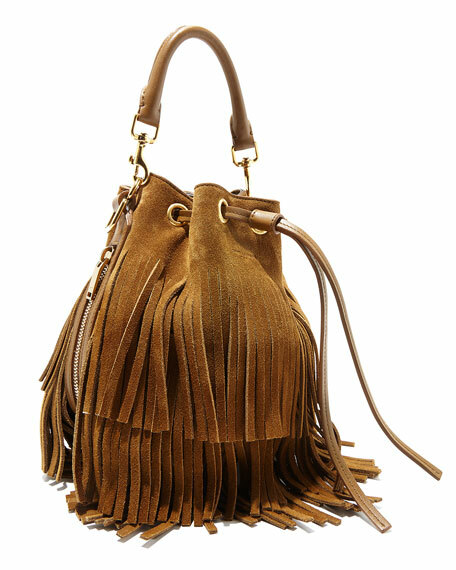 We're lusting after this Saint Laurent rendition, crafted of supple fringe suede. 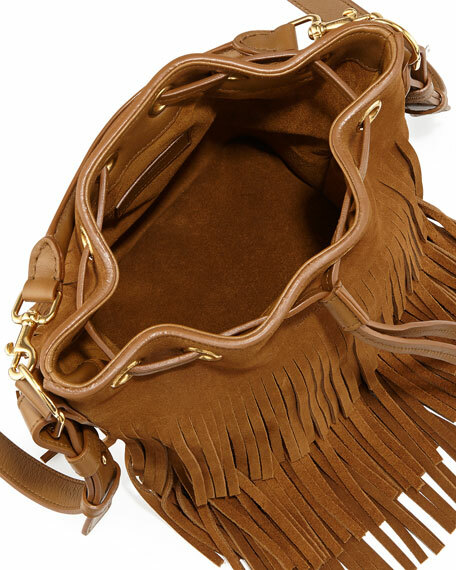 Saint Laurent suede bucket bag. 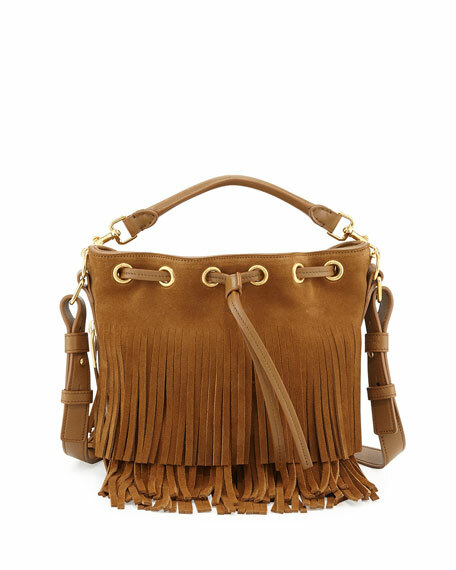 Leather trim and fringed edges. Embossed logo at drawstring top. Inside, suede lining and slip pocket. 5 3/4"H x 7 1/4"W x 4 3/4"D.
For in-store inquiries, use sku #287574. 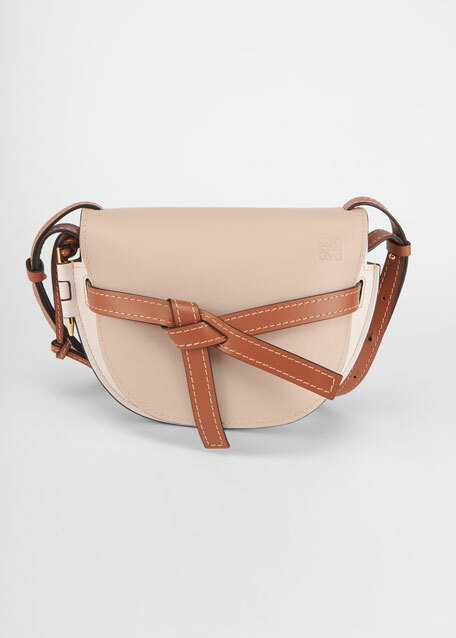 Chloe shoulder bag in smooth calf leather and suede. 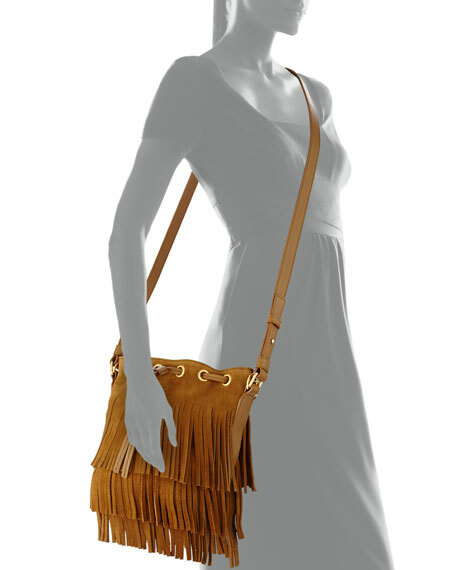 Removable shoulder strap with oversize rings. Finished with logo at center front. Two zip-top compartments. Cotton lining. 6.1"H x 9.8"W x 1.4"D. Made in Spain.